Welcome to Cartagena! This picturesque colonial city on the Caribbean Sea is rich in culture, architecture, romance — and, yes, even pirate history. Upon arrival, you'll be picked up from the airport and transferred to your hotel. Check out the colonial neighborhoods of San Diego and Santo Domingo stopping at key sites like Plaza de los Coches, Plaza de la Aduana, Parque Bolívar, and Plaza de Santa Teresa. Walk along the Old Town's original fortress walls, built (starting in 1586) with the purpose of protecting Cartagena from any attacks. You'll get some amazing panoramic views of the city (and the sunset!) from here. Peek in La Vitrola for future reference — this is the city's most famous restaurant in a 400-year-old colonial home. 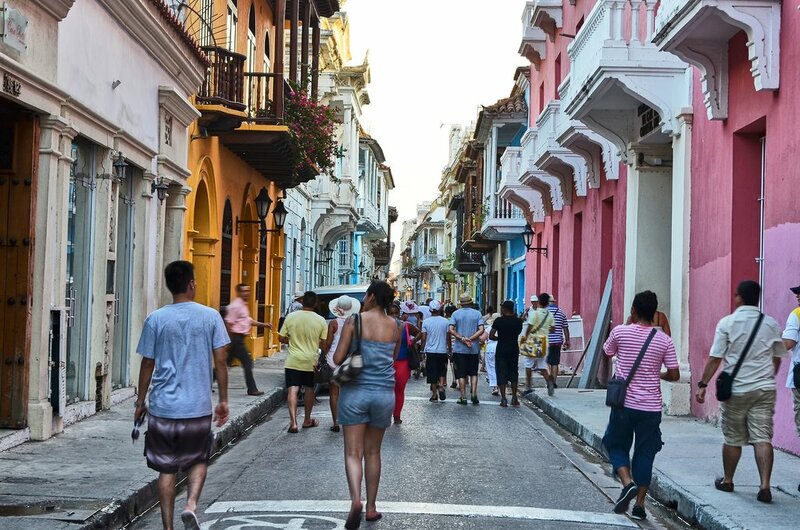 Explore Getsemani, the up-and-coming neighborhood just outside the walls of Cartagena's historic Old City. Once a seedy area, Getsemani is now a haven for hip culture with charming Spanish colonial architecture, graffiti art, boutique hotels, and street food vendors. 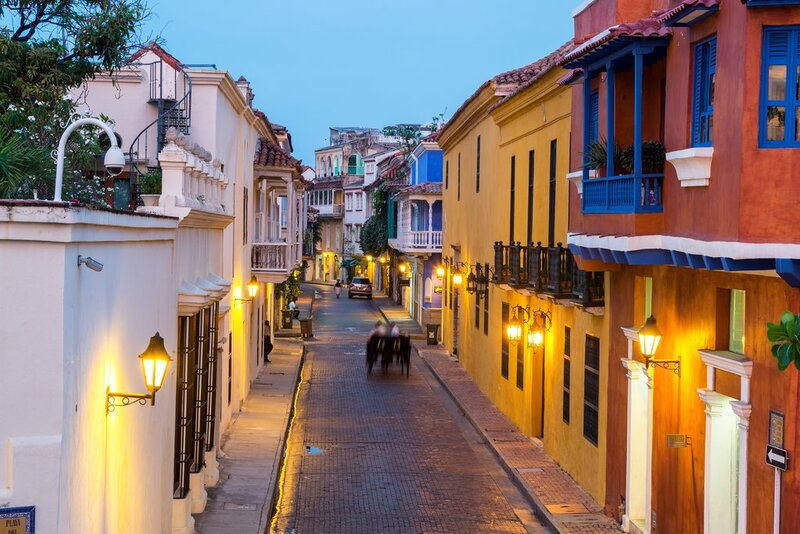 After breakfast, take your pick between numerous ways to experience Cartagena, either on your own or with a private tour (optional add-on), whether it’s a surfing trip along the coast, a boat trip to pristine Caribbean beaches, or even a sunset sail with a glass of bubbly. 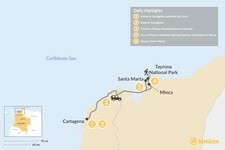 Other options include a guided walking tour of Cartagena's UNESCO World Heritage walled city. Together with an English-speaking professional, you will delve deeper into South America’s most extensive fortifications and visit famous sites like the Castillo San Felipe de Barajas, located on the Hill of San Lázaro, and San Pedro, with its Andalusian-style palaces and Cathedral. If an organized tour isn’t appealing, simply create your own adventure around the city. At dusk, take part in the unforgettable atmosphere as the city comes alive with street performers and musicians. 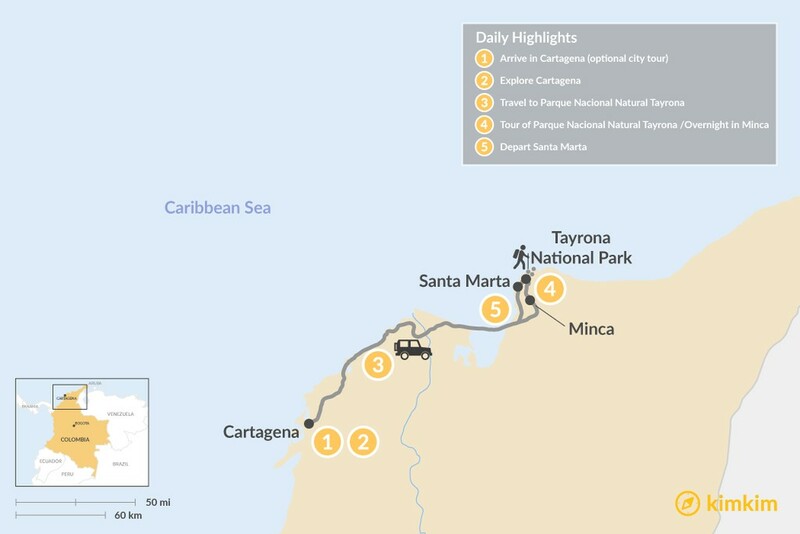 After breakfast, you'll be picked up from your hotel in Cartagena for your private car transfer to the area just outside the entrance of Parque Nacional Natural Tayrona's (Tayrona Park), where you'll stay overnight. You'll have rest of the afternoon to relax and enjoy your hotel, located on a peaceful spot overlooking the Caribbean Sea at the foot of the mountains. Wander down to the nearby beach, which has a beautiful sunset view. 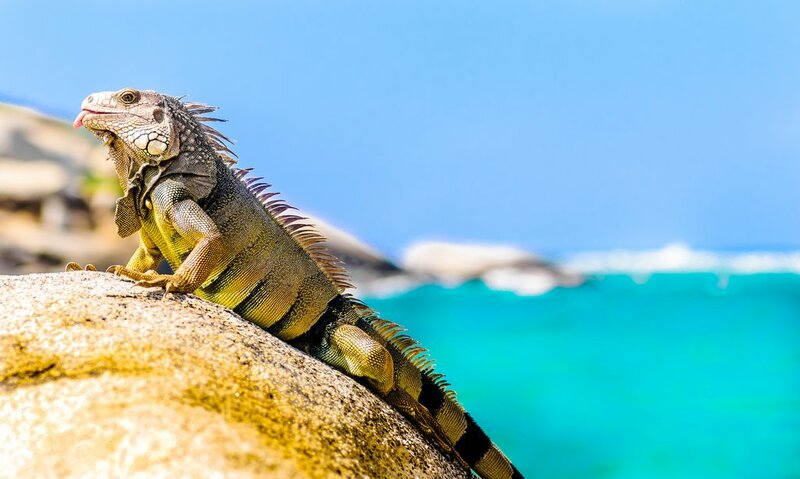 After breakfast at your hotel near Tayrona, you'll be transferred to the park where you'll experience some of South America's loveliest coastline with a local guide while visiting the stunning beaches and rainforests of Tayrona — one of three national parks on Colombia's Caribbean coast. 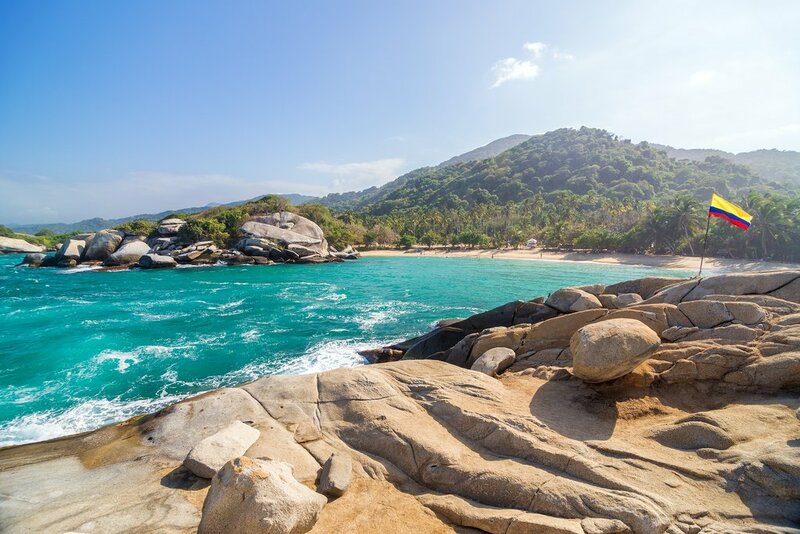 This tour includes 4-5 hours of walking and some additional time to relax on the beaches. 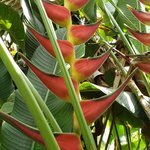 You'll first hike in the tropical foothills near Cañaveral, the base of the Sierra Nevada mountains. Then visit the exotic beaches of Arrecifes and stop at La Piscina, an ideal spot for swimming and snorkeling. 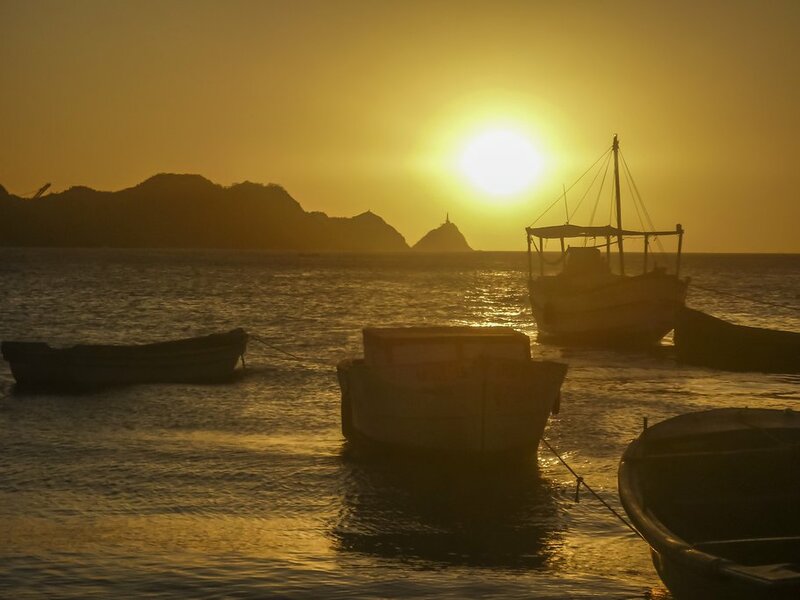 Continue to Cabo San Juan del Guia and see a wonderful bay of white sand surrounded by huge volcanic rocks. 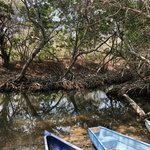 On the way here, you can observe several species of local flora and fauna pointed out by your knowledgeable guide. The afternoon is your free time to enjoy lunch on your own and relax on the shore. It's time to say goodbye to Colombia! 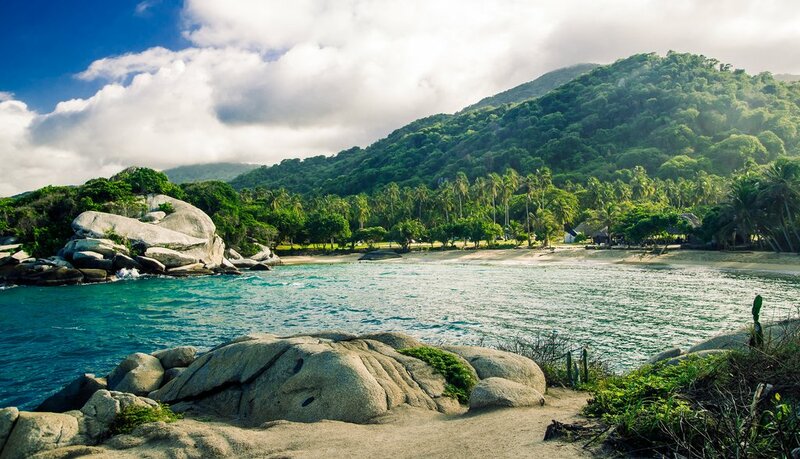 Enjoy your last morning in Santa Marta with a leisurely breakfast and walk along the sea. A representative will meet you at your hotel and drive you to the airport for your next transfer and connecting flight home.